Negev residents say only local hospital discriminates against members of 3 of Israel's 4 insurance companies. Israelis insured by three of Israel's four health funds receive discriminatory treatment in the Negev's only hospital, reports say. 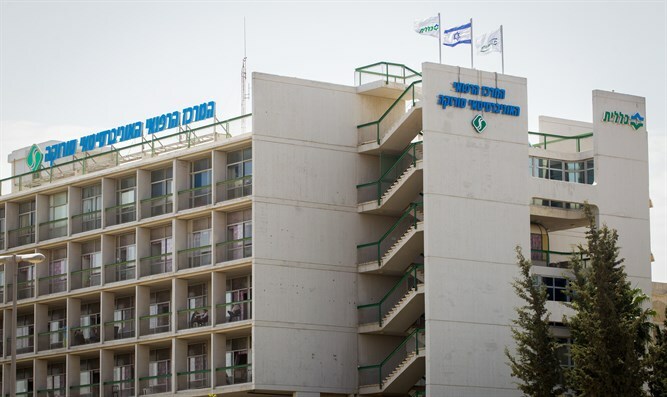 Be'er Sheva's Soroka hospital is owned by the Clalit health fund, a fact which patients say is used by Clalit to discriminate against those from other health funds. Menachem, a Dimona resident who used to be insured by the another health fund, says he moved to Clalit following a major surgery. "They treated me very badly immediately after my surgery," he said. "Immediately after I signed forms to join Clalit, they started treating me like a person. I didn't switch health funds because I wanted to leave my health fund, I switched because I needed to make sure I received proper treatment after a major surgery." Yoav, who took his toddler to Soroka's pediatric emergency room for an EEG and emergency appointment with a neurologist, said that he "arrived at 12:00 p.m. so that the EEG staff would still be there." "They made me wait four hours, then told me the EEG staff had gone home already and they would have to admit us if we wanted to do an EEG in the morning. They couldn't promise an EEG the next day but said admitting us was the only way we might get one. "When I insisted that my toddler did not need to be admitted, they told me explicitly, 'If you were with Clalit, we would have worked you as an outpatient. Because you're with Maccabi, you need to be admitted, and we can't admit you and release you on the same day, so you'll have to stay overnight. I told them, 'If you function as a private Clalit clinic, why do you call yourselves a public hospital?' They didn't know what to tell me. "When we got home, I told Maccabi's secretary what happened. She said, 'You're not the first one to complain Soroka said that, and if it's true, it's a big problem.'" Medically unnecessary hospital admissions and poor treatment of patients aren't the only way Soroka discriminates, however. "For the past year or so, we've been trying to make an outpatient appointment for a neurologist and EEG," Yoav said. "But then they started telling us that there 'were no appointments for five months,' and a few months later they told us, 'there are no appointments for the next six months and we don't know when there will be appointments.' Apparently, there would have been appointments if we were insured by Clalit. The same thing happened when we needed an MRI - we were told minimum wait time was nine months, but a friend who is in Clalit waited only three months." Shai, who moved from Jerusalem to the Negev four years ago, said he was looking to switch health funds, because Meuhedet doesn't have a branch where he lives. "Everyone I asked told me: Clalit has terrible service but if you need the hospital you'll get VIP treatment. Maccabi has great service, and Leumit is small but good. But if you don't join Clalit you'll be treated horribly every time you need the hospital," he said. Michelle said her doctors don't like Soroka, but are too professional to say it explicitly. "They just say the doctors 'don't answer their phones anymore' and in recent years have not been 'very cooperative.' One of them said, 'If I was in charge, I would have founded a new hospital forty years ago. But it's not up to me.'" The Israeli government has promised several times to build an additional hospital in the Negev, but has failed to follow through. According to local residents, the fault lies with Clalit, since the health fund - Israel's largest - refuses to give up its monopoly. Soroka, like Jerusalem's Shaarei Zedek and Bikur Holim hospitals, is owned by Clalit but operates as a public hospital and receives funding in accordance with its public status. It is also heavily funded by donations from abroad. Soroka Hospital has not responded to Arutz Sheva's request for comment.